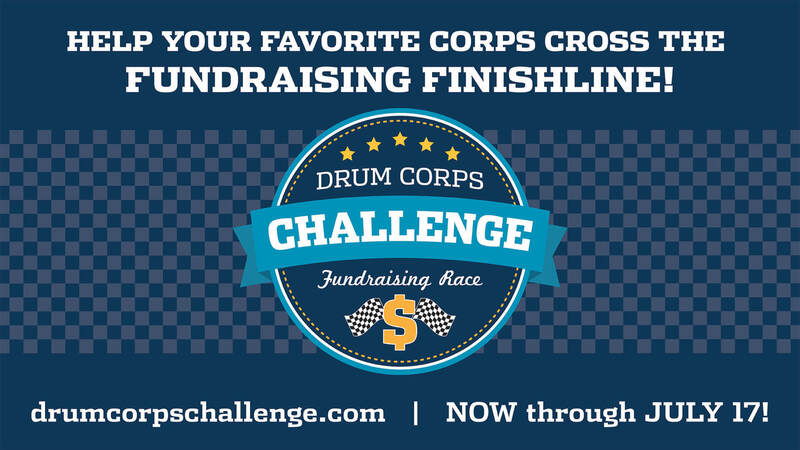 Beginning today, Friday, July 10, drum corps fans around the world will have a chance to get in the game, by helping their favorite corps become the winners of the 2015 Drum Corps Challenge fundraising contest. Building on the success enjoyed by various corps in recent years playing each other one-on-one, the Drum Corps Challenge pits 29 different World and Open Class corps against each other in class-level play, with each corps trying to raise more money from their alumni, fans and friends than every other corps in their class. Every dollar collected by the participating corps goes toward their Drum Corps Challenge total. For the many participants running various fuel campaigns, alumni donation programs, and fund-a-meal campaigns already, any donations made to those campaigns are accrued into each group’s Drum Corps Challenge total. To donate, fans can simply go to the unified webpage for the campaign via DrumCorpsChallenge.com, where they’ll click on the link for the corps they wish to support, then use the individual corps’ giving page to make their donation. The contest will begin Friday morning, July 10, at 9 a.m. ET, and continue through midnight ET on Friday, July 17, with the winners of the contest (one Open Class corps and one World Class corps) announced during the DCI Live! webcast of the DCI Southwestern Championship presented by Fred J. Miller, Inc. in San Antonio on Saturday, July 18. The corps will report their numbers directly to Drum Corps International the mornings of Monday, July 13, Wednesday, July 15, and Friday, July 17, so that fans and the participating corps know where everyone stands throughout the duration of the contest. This new campaign was developed by the fundraising teams for the Phantom Regiment and Cavaliers, in the search for a new twist to their annual Backyard Brawl contest. In expanding their contest to the whole drum corps activity, they’ve been able to engage a number of corps who have never tried this type of approach to their fan base and increased the number of ways and opportunities for drum corps fans to make a direct impact to the health and well-being of the corps they love most.